Antigua Village was the Island’s first condominium resort development. As such, the Village is owned entirely by individual condominium owners and administered through an elected Board of Directors who in turn employ the management and staff. All condominiums are sold fully furnished on a title deed basis. Various sizes include studios, suites, villas and houses. All have full kitchens, tiled bathrooms, patios or balconies, air-conditioning, ceiling fans, telephone, WiFi and Cable TV. The interior furnishings and décor represent the individuality of the homeowner and are the owner’s responsibility to maintain. 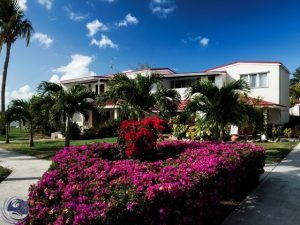 Some apartments face the Caribbean Sea, while others overlook the swimming pool or the beautifully landscaped gardens. All are only yards away from the beach. 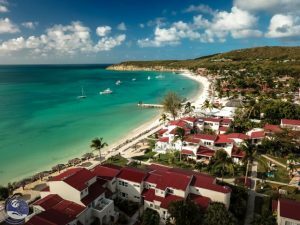 We are fortunate to be situated in the most popular location on the Island, Dickenson Bay, with the best restaurants, entertainment and water sports all within easy walking distance. The capital city of St. John’s, with its duty-free shopping and additional restaurants, is only a short drive away. As a condominium owner, you may join our rental program, arrange rentals yourself, combine both, or choose not rent at all. Many of our rental and timeshare guests become interested in how they can enjoy the Antigua Village lifestyle on a regular basis. To view any of our current resale listings, please visit www.facebook.com/AntiguaVillageRealEstate, e-mail anuvillage@aol.com, phone 268-724-8150, or visit the Sales and Tour Office next to the Village Grocery Store. *Available units and prices are subject to change without notice, so please check regularly for updates.